Dr. Loukanova I am very upset that you have had this happen to you. You are the only “Dr.” I’ve had since we moved here to Florida full time. I know that you know me in and out and I know and am very comfortable with you. I cried when I heard about this. I’m very upset!! I will keep you and your sister in my prayers and pray that I am able to somehow get back with you. Alex is also very upset. You did great for us. Kindly D. V.
Hi Dawn, thank you for the kind words and your support! I I would love to keep taking care of you and, of course, Alex – but sometimes change is needed! In the next 2-3 months we will be up and running at our new location and that is why we created the website – for patients who want to follow us. My email for now is findourdoctor@gmail.com – feel free to send me an email for private discussion. Stay healthy and we will keep in touch! We are working on it and are hoping to start at the end of July. Stay well meanwhile. Hi Betty. We are in transition now and are hoping to start mid July. Check here for updates such as phone number, address, etc. Stay well meanwhile! I will follow you to make an appointment as soon as that information is published. You’re the best, and I don’t want to lose you! Hey Karen. Yes, we are staying local. We are working on transitioning right now. Thanks for your support. You can write me on findourdoc@gmail.com also. My husband and I want to follow you. You are the best, and I am very picky. Please let us know what your plans are. Rebecca, by mid July we should have more information about the office which we will post on the website. It should be no problem to set your appointment for September. Just stay healthy for now! Thank you for the support! Dr. Lokano a, please let me know as soon as you have your location. Your my Doc, no o eelse. Thank you.Of course. Stay healthy meanwhile.We are almost ready to open. Sooooo happy that you are still practicing. You are the greatest and I am sure your sister is equally as great . My yearly appointment is not until Nov..Hope you are open for business by then. Hi Diana. Thank you for your support! Yes I am sure we will be able to reschedule your appointment for the fall. Make sure to stay healthy till then! Expect more information concerning our upcoming office mid July! You are the best Internist physician I’ve ever had. I have faith and trust you and know my health is in the very best hands. I read, with great pride, that you & your sister were leaving the system to open your own office and practice medicine on your own terms with your high standards. I have an appt. with you soon. I’m glad you are staying in Ft Myers. I’m not in social media so I hope you get this! I am so sorry to hear you left the Cape Coral office. I have been very comfortable with your service for the past 6 years. Keep me posted when you get you new location. I am meeting with Dr Zhukova for my June 5 appointment. I hope you will be in your new location before my next appointment. I hope we are up and running for your next appointment. We are staying in the area. After finally getting to be your patient in March I was depressed over hearing that you “left suddenly”. Then when one of your Lee Health colleagues shared with a friend that you and your sister were staying and opening your own practice in the Ft Myers area, my depression immediately turned to elation. He also said to check your facebook page for further information. Thank you. As a retired corporate director I understand the frustration that corporate life bestows on us and I want you to know that I immediately spoke to Lee Health and expressed my deep concern over their loss of the two of you as well as other physicians in the past and more in the future. I strongly suggested that they should immediately put in to action a plan to assess the underlying causes and to come up with something that would be acceptable to all parties involved. .And advertising for retired doctors to work part time is not the answer..who wants a part time doctor. That might be a strategy for convenient care but not primary care physicians. Anxiously awaiting the announcement of your new practice and sending my best wishes your way. Thank you for your support. We’ll keep you updated! Hi, thank you for your kind words, we are here for you! Will keep you posted! You did exactly what you said you would when I made a commment about great doctors being forced into becoming just an average doctor. Congratulations on staying true to your standards!! Thanks, hope to see you soon, stay healthy! Looking forward to hearing about you both opening your new practice! I was so distressed that this befell you both. It is a great loss to me personally, Bass Rd and LPG! That said. I am wishing you fabulous success, offering caring physician services and more for all the patients you serve! Be well, be blessed! Thanks for your support. We will stay in touch! I am very grateful that I found you! I cannot wait till your practice opens. M. W.
Thank you, will keep you posted! Yes, we will let you know. Please, check here for updates also. Dr. Adriana Loukanova, we are sooooooooooooooooo happy and cannot wait until you are set up in your practice. I hope you stay in the Fort Myers area because I would not be able to go to Naples. Once you are up and running do we get to request our medical records be transferred to you? Thank you, yes we are here to stay and will be in Fort Myers. We will keep you posted. Thanks for the support! I just found out about you and your sister. Now I will need to go on anti-depressant meds. You have always been there for me and have found medical problems with me and friends. You are an excellent and very caring doctor. You take the time to listen to concerns of you patients and lead them in the direction that we need to go. I can’t praise you enough and hope that I hear from you and we can continue our journey as doctor and patient. My best wishes for you and your sister. The world needs more doctors like the Loukanova sisters. I just found out about you and your sister and now I will probably need to go on antidepressant meds. Your are an excellent and very caring doctor. You have discovered medical concerns with me and friends. You listen to concerns of your patients and follow up checking to make sure the patient is doing their part. You have always been there for me and I hope to hear from you so we may continue our journey in life as doctor and patient. I can’t praise you enough and wish the best to you and your sister. Thank you for the kind words and your support, Sylvia. We will keep in touch! Stay healthy and take care of yourself! Can’t wait to hear where you will be ………. too much to say in this place. Thanks, will let you know! I have heard nothing but great things from my clients about you. I will be awaiting to hear of your new locations and hope that you will be accepting new patients. Thank you for the update. I look forward to seeing you in your new practice. We were so upset to hear you were gone. You have been an angel to Mom and our family. So glad that we found you all those years ago. Never found a more caring and compassionate doctor. What a loss for LHP. Can’t wait to see you in your new practice. Wishing you all the best and see you soon !!!! Hi Linda! Thank you for your kind words and support! I hope Mom and everybody at home is doing well. Please stay healthy and take care of yourself. We will keep in touch! Dr. A—Are we able to still get medicine refills if our yearly appt was scheduled for early June? Hi Susan please call the office to get your refills. I cannot do anything until we are all up and running at the new location. Stay healthy and we will keep in touch! Hi Dr. M, Lee and I are so relived that you will still be our doctor. Looking forward to seeing you at the new practice. thanks, for getting in touch we greatly appreciate every one of our friends that are your patients have been calling me “Where has she gone” now I can tell them about your website. Hope to see you VERY SOON best of luck to you and your sister YOU deserve it your the best. Regard Rose and Lee. Hey, Rose and Lee. Hope you are doing well. Check here for updates. I am glad he didn’t get rid of his trucking business after all. Dr. M. I thought you would want to know that Lee took a turn for the worst.Has been in CCH and today they are transferring him to HOSPICE. He developed pneumonia and cant breathe. if you want to get in touch call me at **********. Coral Ridge Funeral Home on Tuesday. I was fortunate to be able to make it on time and see him, he saw me and told me he loved me. That’s more than any doctor could wish for. Take care of yourself now and you know how to find me if you need me. Stay healthy! You have been my primary physician since I moved here to the Cape. My sister is your sisters patient in Ft Myers. I was truly upset when I found out you were no longer at Lee. Did a little searching and found you. I am elated to know you and your sister are going to open your own practice. I want to continue being under your care. I wish you both well in you future endeavor and hope to see you open soon. Thank you, we are doing our best to transition as fast as possible. Looking forward to seeing you at our new office. Thank you! There is always more to the story of my leaving. I will share once we see each other. Stay healthy and we will keep in touch! Milena, I was shocked to here you was no longer at the Cape office. However extremely excited that you and your sister is starting your own practice. Will be waiting for the announcement that you are opening. Glad that you found us. Please check for updates here and stay well meanwhile! Lou and I were very upset when we heard that you left the practice. Looking forward to hearing from you for your future plans. We will keep you posted. Thank you. We are trying to make this transition ASAP. Thank you so much for the support! We will make sure to keep you posted! Beth and I can’t wait to see you again, we miss you Let us know asap. Thank you! We will make sure to keep you posted! Debbie, I noticed you are not there. I hope you are doing fine and that this transition doesn’t take too long. Check here for updates and stay well! You have my total support in all you do for all you are…simply the best ! I am here for you both. Thank you, Corinne. I knew you would understand. Stay well meanwhile and check here for updates. So glad I found this website. Sad with the way things happened to you. Great to hear that you and your sister will be starting your own practice. Thank you. Please, check here for updates. We are working hard to transition ASAP. Stay well meanwhile. ADR. So glad we have this email. I have an appt. on Thursday with “someone”, wish it was you!, Hope your opening day rolls around real fast. Thank you for your support Annie! We will keep you posted. Two very strong women I admire greatly. You have standards and that is why your patients love you and will follow you. Dr. M, I was able to get my mammogram after getting reassigned to Dr. Kuchova, but had to make an appointment in Nov. I will probably be in South Carolina by then, but if not, I will be seeing you. Oh, Corinne told me. I was wondering if you moved already or not. Change was necessary for both of us. Thank you for your support and make sure to stay in touch! This is Dorothy S. I have been coming to you for so many years I do not remember how long it has been. I hope you remember me. I was so glad to find this website so I would know where you will be and I can make an appointment. I was to have an appointment with you on June 12. I had my blood tests done and have gotten the results on My Chart. Everything looks good. Since I was due for an appointment on July 12 I hope I will be able to see you soon. Of course I remember you very well! I’m sorry for the inconvenience, it was not planned by me and was out of my control. We are setting up a new location and it will be announced here. Thank you for your support. Stay healthy and keep in touch. We are working hard for this transition to happen ASAP. The last time I saw you, you were both in a good shape, so let’s keep it like that. Check here for updates like the phone number and address. This is Patricia B. I have an appointment to see you (or so I thought) in September. Hoping your new office will be open before then, so that I can make an appointment with you at your new location. Wishing you and your sister much success. Thank you Patricia, we are doing our best to open up soon! Stay healthy. Thank you! We will see you soon. Dr. M- Al and I were truly upset on hearing this news. Coming back from our vacation with colds forced us to seek care from providers we didn’t know nor cared for us like you. Couldn’t even get in to see the ARNP at the office. Needless to say we are looking forward to your new office opening soon. If there is anything I can do to assist please contact me. We are working hard to make this transition fast. The updates with exact location and phone number will be here. If you have any questions, please email me. Needless to say, I wasn’t given the opportunity to notify you. I reluctantly left Dr. Adriana last year due to her location and my job constraints. She is a wonderful physician and I’ve been unsuccessful finding another. I recently called Dr. Milena to schedule an appointment and learned that they were possibly opening their own practice! I sincerely hope that I will be accepted as one of their “new” patients when they get their practice up and running and I wish you both much success in your new endeavor. Sure, Jan! We’ll be happy to see you in our new practice and keep you in the family. Check back for updates! I’ve been a patient for over 5 years and due for blood work and annual checkup in August. I had my bone scan last month, and was shocked when they called to say you were no longer with them. I very much would like to continue being your patient. Wishing both you and your sister well…. and much success. Congratulations — and good fortune with your practice! We are looking forward to taking care of our patients. We are planning on starting mid July. Check here for updates. Stay healthy! Kenna, we are in transition now and are planning to start the end of July-August. Our plan is to take all insurances, including Webtpa.We will be local. Please, check for updates here – phone number, address etc. Many of my coworkers will be happy to hear this also! Dr. M Loukanova .. I received the letter today that you are no longer my Dr. I was shocked an sad . I went straight to my IPAD and searched and found you. I am so happy for you and your sister following your hearts. You have helped and guided me through my 12 years here in Fl. I trust and feel confident in you and relieved that you will still be my Dr. Please keep me updated on you new address. I WILL BE THERE !! Kim, thank you.We are planning to start the end of July- or in August. Making every effort to take all insurances so we don’t send patients away. If you have any questions, send me a private email on findourdoc@gmail.com. and tell them to sign on the website for the updates. Dr. A.L., My former primary Dr left LPG a couple of months ago. I scheduled appointment with you next week for Medicare Wellness visit. Heard that you were no longer at LPG so saw NP for Wellness visit. I have heard so many good things about you. When I asked my cardiologist who his wife goes to it was YOU!That was a 5 star rating! Happy that you are here to stay. Hope that you accept me as new patient when your office opens. Hi Teresa, I am hoping to see you at our new location and make sure to keep in touch. Thanks for trusting us! I have been a patient of Dr. Melina Loukanova for over 10 years. She has always been there for me to answer my questions and listen to my concerns. I had an appointment scheduled for September with her for my annual wellness checkup. I will follow the posts on this website so I can make an appointment at the new office as soon as it is opened. I am happy and excited for these two caring and kind doctors to be opening their own practice. Thank you! At present we are working hard to transition as fast as possible. We should be up and running for your appointment. If you know any of my other patients, please let them know to sign up here and check for updates on the website as this is the only way for us to stay in touch with all of our patients until we are open. Make sure to stay healthy! Hi Darcy, so sorry all those changes are upsetting you… I wish we could just tell our patients, but no, it is not up to us! We are in a process of transition now and are hoping to be up and running soon. Thank you for your support and kind words. It really means a lot! Stay healthy and we will keep in touch! Got a letter from Lee that you no longer with them, and went right to Google to look for you! I am glad I found this blog. I want to stay your patient wherever you go. Will refer more people to you. The best doctor ever. Looking forward to your updates, and best luck in your transition. Will be happy to support with anything I can. Let me know if you need anything meanwhile. Will you be accepting Web TPA insurance when you open and when are you expected to open practice? Hi Lynn, yes we are hoping to be on the web tpa plan. Regarding the office opening, it should be in the next few months or so, depending on how fast everything goes. We will be posting updates here. Thank you for the support and stay healthy! I’m so glad you stayed in town. We all value your presence and cannot wait for your grand opening!! Thank you for your support. We are working hard for this to happen fast! Offering best wishes, Dr. Loukanova, for you and Dr. Milena Loukanova’s new endeavor. I was glad to learn you have not left us completely. Looking forward to learning of your new location. It was startling to receive the letter about this transition this past Saturday, June 9th, especially since it was dated May 18th! Very happy to know you will still be here for your long-time patients. You are one of the best physicians around, and most thorough. You have always been attentive and concerned about your patients meeting each with an extended hand and a big smile. I will assume my upcoming appointment still stands. Thank you Cynthia, transition is never easy, but we are looking forward our new start and are very excited about the change! We will keep you posted and make sure to check for updates on this website! Thank you so much for you support and kind words. Make sure to stay healthy! Thank you Charlie and Lena, your support means a lot to us! We will keep you posted with the website updates. Stay healthy! 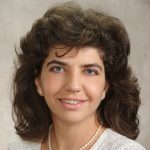 Dr. Adriana Loukanova: thank goodness for the Internet! I just got the announcement today and got right on the computer to search you out! I will check back often to find out when your practice opens. I look forward to having you take care of me for many more years! Thanks Kathy, we will keep you posted! Stay healthy! I definitely want to follow you and still be your patient! Thank you Pamela we will keep you posted! Thank you, it has been an incredible journey so far for us with so much support from all our patients, colleagues, staff, and community. In the end, that is what really matters! We are looking forward seeing you all back soon, hopefully for healthy check ups 🙂 We appreciate all the new referrals! Stay healthy and please take care of yourself! Dr. Loukanova, you have been my Primary Physician for a long time and I was very upset when I heard you were no longer with Lee Physicians. However, I was delighted to hear you are going to open up your own practice and were going to stay in the area. I wish you and Milena much success in opening your new practice. You have been a wonderful doctor for me and I look forward to that continuing. Best wishes to you both. Thank you Doris, we are looking forward starting at the new office as well. Thank you for your support and stay healthy! Hi Paul and Sharon! Thank you for your kind words and support. We are hoping to be up and running mid July. Hope to see you there and we will keep you posted with details! Like many, I was sad to hear you are no longer with Lee Health. It is hard to find a good doctor, but I was blessed to meet you in 2002. I am elated to hear you and your sister’s new practice opening soon. God is good and has greater plans in store for you. Looking forward to seeing you soon. Thank you Melisa! Thank you for your trust in us and your support! We are looking forward to seeing you in our new office which should be opening up mid July! We will keep you updated with details. Stay healthy! 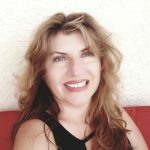 Hi Dr. Adriana Loukanova! I was upset when I received a letter stating you had left the practice so I searched the internet for you and was elated to find this forum. Wishing you both great success in your new space and hoping that your new practice will accept my BCBS Insurance. It’s time for my physical 🙂 Let me know when I can make an appointment. Looking forward to seeing you in your new office! Hi Cecilia! Thank you! We are working on getting all insurances and should be up and running mid July. I sent you an email. Thank you for your support! Dr. Loukanova, Thank you for taking the time to care for your patients by letting us know your plans! I am happy to wait patiently to see you. My mother and I are blessed to have you as our PCP and will gladly follow you. I will keep checking back. Praying for your new endeavor! Thank you! We feel blessed to have all these caring patients and for all this good will coming our way. Stay healthy and we will keep you updated. Hi Pam and Mary! Thank you for all your support! You are very special to me and I would be very glad to have you as my patients again! We should be up and running mid July. We will make sure to keep you updated with the details. Hi! No you are not a problem at all and it would be a pleasure to have you as my patient again. Expect more details about our new practice mid July. Thank you! Dr. A, Change is always a challenge. Good luck with your endeavors. Can’t wait until you are up and running to fill the void. Would follow you to the end of the earth! Wow thank you! You won’t have to go to the end of the earth though we will be opening up nearby. Expect more news about our new practice mid July. Thank you so much for all the support! Stay healthy! Dr. A. What a great Monday morning to discover you are still in the area. I look forward to hearing about your new location, and that you will still be “my doctor”. Hi Ella, thank you! I will keep you posted about our new location. Expect details mid July. Old friends and patients should stay in touch. Thank you for your support! I am extremely happy that you are going to open your own practice. You have been my only PCP since moving to Cape Coral in 2003. You know me very, very well and have taken care of my medical needs. You are such a caring and trustworthy doctor. Please let me know when your practice is set up and are taking appointments. SO thrilled to finally find you today. Was devastated by the news from Lee. You are a special and caring doctor and I look forward to seeing you again at your new practice. Things have a way of working out for the best and wishing you and your sister much success and happiness in your new location! Thank you Judy. We appreciate your support and kindness and are looking forward seeing you in our new office! Dr A, it is so very rare to find a physician with your genuine level of care and compassion. It has been nearly 10 years and I always felt I’d hit the jackpot in finding such an outstanding internist when we moved to Florida. You had the gift of always making me feel as if I was the only patient you had to see that day – never rushing, always listening and actually talking to me about my health. You are a gift to the medical community and I look forward to seeing you in your new practice! Alicia, thank you, you are too kind to me! I think that is what we are supposed to do as Internists, listen to the patient and try to put the pieces of the puzzle together. The beauty of it is that we really enjoy doing it! Expect updates mid July with more specifics about the new practice. Thank you for your support Alicia; it really means a lot to me. Please take good care of yourself and stay healthy! Dr loukanova… It’s Cara Baumann. My mom and I received notice that you are no longer with LPG. I have to admit, with my health situation, I was a little concerned because of how involved you are with my illness, past health history, and family medical issues. It was actually my cousin who found this website and I was so relieved to see that you are still going to be in practice. I am going to email you shortly to keep you up-to-date with what is going on. I’m still hanging in there, as well as my mom and Don. We wait for an update on your new practice. When one door closes, another one opens. Our physician to patient relationship is very important to me. You see so many patients, but as you can see with all of the responses on this website, we all feel that we are important people to you instead of just another patient. I look forward to having you to continue watching over my health needs. Thank you Cara! You are right, all our patients are very important to us! We value our patient-doctor relationship as much as you do. Support like yours is what makes it all worth it for us. We know we made the right choice! We are hoping to be ready to open mid July and we will keep you posted with specific updates. Thanks again, be strong and best regards to the family. Looking forward seeing you in the new office! Thanks Christine, we are looking forward seeing all our patients as well. Thanks for the good wishes! Hope to hear soon to transition our care. 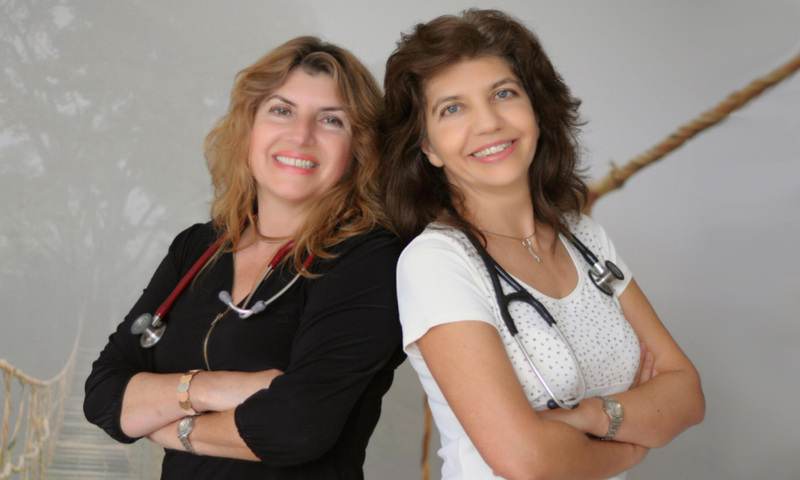 Dr. Milena & Adriana – I an ready to help as a RN in any way. You can message me via text. As a RN of 50 yrs., your care, Dr. Milena, has been excellent. We are hoping to start 20th-30th of July. It will be all posted on the website: phone number, address, exact date, etc. We were reassured that once we have a physical address, Lee Health will start notifying our patients where we are when they ask for us. Let’s hope so. Meanwhile, stay healthy, both of you. Sure thing Susan, I look forward to seeing you in our new office! Expect updates in mid July. Thank you for your support. Hi Dr. A. Loukanova, I have had everyone I know on the lookout for you. Am elated, happy, thrilled, overjoyed, that I found you. As you can see from all the messages you are getting I am not the only one who just loves you to death. I definitely want to remain your patient and can’t wait until you are open for business . I will need a wellness physical sometime in November so please keep me in mind when you set up your appointment book. PS: LMHS has made one HUGE mistake. Wow! Thank you for your support and good wishes! We are looking forward to seeing all of our established patients in our new office. Please spread the word about the website, and thank you again. Thanking the Lord that you did not leave due to medical or family issue. I can relate to the corporate issues…..I’m sure our insurance will make it difficult to follow you, but WE plan to! Hi Kathy, thank you! We are working to get on as many insurances as we can. I hope it won’t be a problem, but it might take some time. I will keep you posted. “Quality measures” have been excellent, so I don’t expect any problems. Yes, quality versus quantity always brings success in healthcare! My husband and I have been patients of Andrea Loukanova’s for many years and want to remain so. Will you be sending out notices with your new address and phone numbers for appointments? Yes we will send out notices, expect more details for mid-July. Make sure your email is entered on the home page to receive announcements. Thank you Adrienne for your support! Dr. Adriana Loukanova, I’m so glad I found you. I hope to stay on my schedule with you. My lab work and visit were scheduled for October. I’ll continue to follow this link and hope to see you soon. Congratulations on making the leap to independence, something I truly cherish in my 28 years of practice. Wishing you both much success in continuing to provide excellent care in our community. Roxann Sangiacomo, MD Neuropsychiatry. Hi Roxann, your encouragement means a lot to us, thank you! Will keep you posted and stay in touch! So relieved to find out you are opening a practice again! Was worried you and Mary Ellen Di Martini were both leaving. It is so difficult to find female health care professionals in this area who will take patients. Please keep me as a patient. I hope you relocate in a nearby area as driving 41 for us older women is becoming an increasing traffic hazard. I have several women friends who are also seeking a female physician and would like to refer them to you. Thank you Jean! Yes, we will be close and would be happy to see all of our established patients at the new location. Will keep you posted and thank you for the referrals! So glad you are staying. Please keep me as your patient Dr. Adriana Loukanova. I felt very lucky to have MaryEllen Di Martini refer me to you this April. Took me years to find you. A caring-competent-compassionate female physician is a rare treasure. Thank you, Jean for your kind words! I am looking forward to seeing you at the new location. We will have more updates mid July! Thanks Rita! We are working on accepting all insurances, however it will be a process that will take some time. We both really appreciate your support and kind words! WE will keep you posted on our progress. Cassaundra and I were very sad when we heard you were no longer with the Lee physicians group. I both looked at each other and said what are we going to do. You are the best as far as we are concerned. I am so glad you and your sister are opening up a practice. We would love to follow you. I have been with you since 2005. Cassaundra adores you too. I hope and pray that you still take our insurance and you are in Fort Myers centrally located. Thanks and take care. Keep us posted. N.G. Sure Natalie and Cassaundra thank you for your support! We are hoping to have more info mid July with updates about our new office. We will love to see you in our new office. Stay healthy! True, just stay healthy Charlotte! Elizabeth, of course we will be happy to see all of our established patients! Just stay healthy! So glad I found you! Good luck on your new endeavors and I can’t wait to see you again. Looking forward to seeing you in your new office. You have always been our favorite Doc. Dr. Adrianna. Thank you Janet, we are expecting to have more details near mid July. We appreciate your support very much! Dear Dr. Adriana Loukanova,I was devastated when they called to reschedule my appointment, with another doctor at Health Park because you were no long with them.I was searching for you all over Fort Myers,than I remember about your sister been in Cape Coral. Thank God i did find both of you. Please let me know when me and Tonya can have appointment with you.We love you as our caring doctor and special person that we trust. We wish the best of luck on your new journey and congratulation. Hope to hear from you soon. Thank you Vera. We are opening our new practice with updates coming very soon. Thank you for your support and I am looking forward seeing you and Tonya in our new office. We will post updates with contact info on the website. Stay healthy and keep in touch! Thank you so much and can’t wait to see you on your new office. Congratulations to you and your sister.Together you girls will be a power house.God bless both of you. So excited to here your starting a new chapter! Will definately follow you to your new offices. Best of luck. Dear Dr. Loukanova, I am so happy you and your sister are “here to stay”! I look forward to another 20+ years with you! If I can be of any help just let me know. You are very loved and cared about. I have been passing along this site to others & they are doing the same. God bless & I wish you both all the best! Hugs to you. DonnaB. Dear Dr Loukanova, I was so disappointed to learn you are no longer with LP when I sent you a non urgent medical question a couple of weeks ago. I’ve tried locating you repeatedly on the internet, so was thrilled when I found this website today. I wish you and your sister all the best in your new endeavor and will call as soon as I learn your new contact information to re -schedule my spring annual with you. You are the most detailed, caring doctor I’ve ever had and I’m relieved I haven’t lost you. Hi Peg, thank you for the kind words. We are very excited about our new practice which is opening very soon. Updates with details concerning the new practice should be posted on the website soon. I am looking forward to seeing you in the spring and stay healthy! Dr. Loukanova,I have been thinking what should I do,need to have blood work done soon, but they send me a new insurance card with a new dr.that they picked up for me. The insurance AARP, send me a letter that since you no longer there,they need replace with a new dr.name. Can’t believe that!! Now, if a I go for blood work need give my card,the results will go there, but I dont want too. I want to keep you as my dr.and no one that I have never met. Should I wait till you open a new office? Thanks Darcy S.
Darcy, it is up to you. If you need something done right now, you can always go to Bass Rd. All my colleagues are great and they will take care of you. If you want to come to the new office, that’s great. I would love to see you again! We can do the labs once we are open very soon. Even if you do your labs now and the results go to Bass Rd, we can always transfer the record once we open. No worries, you will be taken care of one way or another! Just stay healthy and thank you for your support! Proud and inspired by you. Congratulations and looking forward to following your practice which is sure to be very successful. Have you considered Direct Primary Care? I opened mine in South Fort Myers 2 years ago and it is full – I love it! Feel free to reach out if I can help in any way. Thank you for your support,Rebekah – we will definitely get in touch ! Wishing you the best of luck Dr. Loukanova! Hope to hear where you are soon! Cassaundra and I definitely want to continue being your patient. As I mentioned before, you are the Best Doctor and I have been with you for a long time.God Bless and best wishes! Hi Ana Daniela, thank you, very happy to hear from you – hoping you are doing well. Expect more details about the new office soon. Stay healthy! Hi Dr Loukanova, so happy to hear you are opening up a new office. You saved my life and I need to keep seeing you. Hi, Linda – thank you for your support. Looking forward seeing you – (for a healthy check up ) in the new office! Dr. A. Loukanova, thank you SO much for keeping contact with all of us. Like one of the other posters, I cried when I learned you were gone from LPG. It’s VERY hard to put one’s healthcare into the hands of someone else, but I have always felt safe from the very first time I had an appointment with you, years ago. I trust you and believe in your skill as my doctor. I was asked by LPG if I would be choosing someone else in their practice to take over as my dr. and I said without hesitation that I would not, because I was going with you as soon as you and your sister are open. I’m eager for your new practice to be up and running so I can be in your care again. I’am so very sorry for what you and your sister have gone through.I’ve been with you for the last 14 years and would love to continue when you open your new practice. Thank you Joyce, we are looking forward to seeing you in the new office! It should be open very soon. Stay healthy! Hi Brenda, thanks for the support – should be open first week of August, details will be posted next day or so. Very exciting, we are looking forward seeing our patients back! Milena I am new to the area somewhat and wanted to become a patient of yours since last year. When I tried to make a connection they told me you weren’t taking new patients. I am hoping that this will be my opportunity to finally become a patient. I actually found you on plantbased…..and knew you were the one for me. Looking forward to your newest journey. Can’t wait to call the office and make my first appointment. HOPEFULLY! Yes, absolutely. We are taking new patients. Very excited about starting the new practice. I am so excited to have finally found this website today, and to know you will be accepting new patients and opening soon. I had called monthly for quite some time when you were not accepting new patients. I am currently being seen at Lee Physician Group but will be so happy to be able to get my records sent to you and schedule a visit. Thank you and I look forward to meeting you. Thank you,Iris -very soon ,next day or two we will be able to provide more information about the new office.Stay healthy and will keep in touch! Thank you for your support and kind words,Marie- we will be definitely open by the time your appointment was.More updates to come in the next day or two-opening very soon! Looking forward seeing you in the new practice,Marie-very excited about the new start! I have been your patient for over ten years and would like to continue to be your patient. My next appointment with you was scheduled for November,. Please let me know when you have your new location so I can schedule my annual appointment. 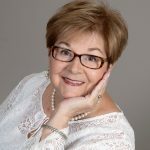 Hi, Patricia – thank you for support! I would love to see you in our new office,it’s beautiful ! The location is 6311 South Pointe Blvd, suite 300 – phone 239 689 4036. You can call and leave your contact information (phone number) so we can call you back for appointment. We will start seeing patients 8/6 but we will start scheduling appointments 8/1. Stay healthy and will keep in touch! SO HAPPY FOR YOU AND US!! Insurance and your hospital privileges—will they stay the same? I’m looking forward to coming to you at your new location. Tony, yes- we are working with all of the insurances and the progress is great so far,no change in the hospital priveleges. I am looking forward seeing you there as well – stay healthy! Dr.Adriana Loukanova, So, so happy for you and your sister. Will be calling tomorrow to schedule my September appointment. Thank you, Patricia – looking forward seeing you in the new office! Dr. Adriana Loukanova, sooo glad you are in your own facility. I have followed you around Fort Myers for years and was disappointed when I called LPG to make my appointment and they said you were no longer there. My disappointment turned to happiness when I found your new information and now will continue to have you take care of my medical needs. Congratulations to you both. Thank you Carolyn see you soon!